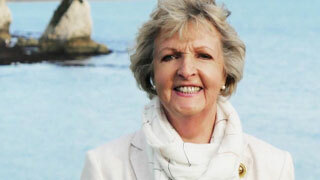 Afternoon Tea favorite Penelope Keith can be seen touring the south coast of Britain when we bring you Penelope Keith’s Coastal Villages on Sunday September 9th at 8pm. That’s followed by the first of a three-part Masterpiece thriller The Miniaturist, which is set in the 1600s. Then at 10pm that night, you can see Michael Palin as a care home resident who witnesses a violent death in the three part-drama Remember Me. Remember Me is set in Yorkshire and it was the chance to return to the place of his birth that reportedly encouraged Palin to take on the lead role in the supernatural thriller. At the time, it was Palin’s first television acting role in over 20 years. Palin, who was born in Sheffield, and was recently named in a poll as the greatest ever Yorkshireman, first acted when he was five years old in a school production of A Christmas Carol. The role he played was that of Martha Cratchit – no doubt a harbinger of what was to come years later, when he gave birth to a variety of middle-aged matronly characters in Monty Python. 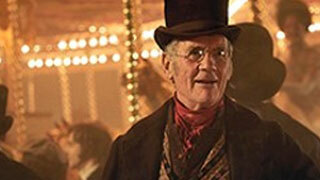 Next up for Palin is a brand new televised adaptation of William Makepeace Thackeray’s Vanity Fair. In it, Palin appears in each and every episode as the novelist himself. The show debuted a week or so ago in the U.K. No word yet as to whether it will be available to viewers this side of the pond, but if it is we’ll be sure to let you know.